Sandpoint Idaho is central to Bonner County. A market report as general as a whole county in North Idaho is to give the temperature of the market, as searched by Single Family Homes, more than specifics. What is seen with the graph below is a stabalization of the market over the past year. Prices have climbed both in listing and selling prices. Inventory has dropped, helping in the decline of days on market and price increase over the prior year. Note with the chart below how closely the list and sold price follow each other, not only for the present year but the prior year as well. What is also shown with the chart is the prior year had some very large swings and other than October of 2014 this past year has been pretty stable with increased prices overall. With winter season around the corner sales units tend to drop but last October showed a block buster month. Low inventory is one indicator that prices should continue to rise although I don’t see another October 2014 happening in prices nor units sold. 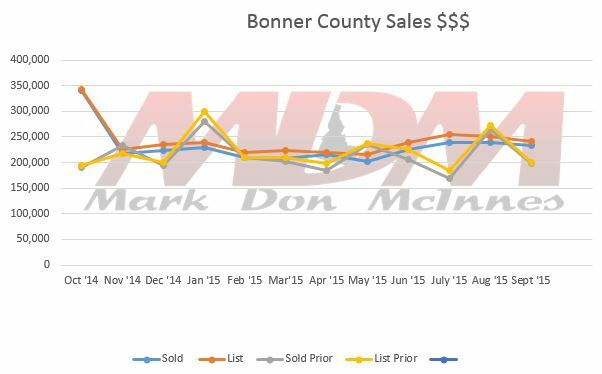 The median list price in September 2015 for single family homes in Bonner County is $242,000. The list prices decreased by 03.7% from the previous month. 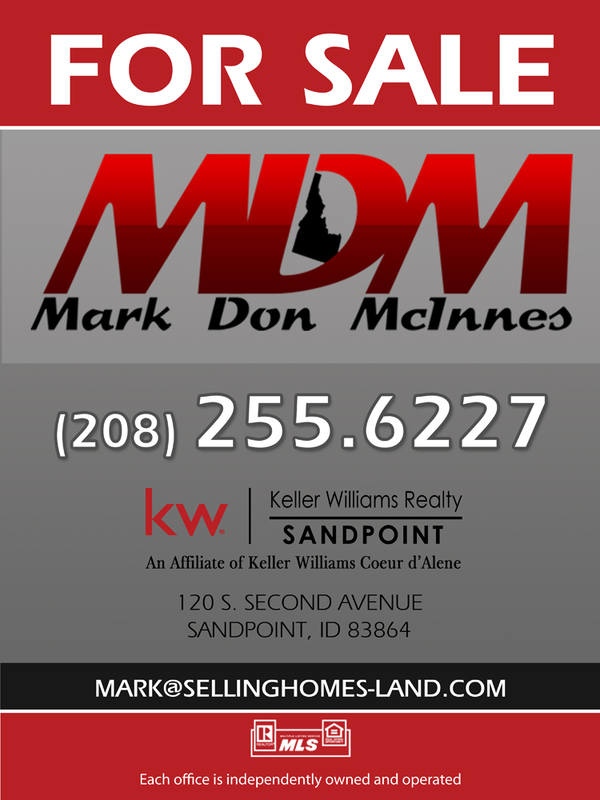 The median sale price in September 2015 for single family homes in Bonner County is $233,950. The sale prices decreased by -2.5% from the previous month.